Australia loves a realist crime drama, but there are certainly better ones out there than Animal Kingdom. Sacred Cows is a series dedicated to overrated cultural artefacts and the more deserving ones we’ve lost sight of in their shadows. This week, David Latham makes the case against the 2010 film Animal Kingdom. 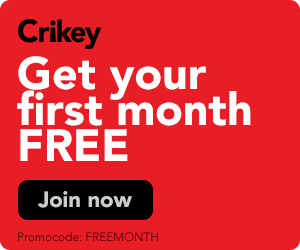 We can never really have enough historical Australian documentaries, writes Matt Smith of Crikey comedy blog Laugh Track. 'Tis the season for best of the year lists, and Crikey film reviewer Luke Buckmaster throws his hat in the ring with a selection of the very best films of 2010, including Melbourne-set crime opus Animal Kingdom and Pixar's bright and cuddly Toy Story 3. 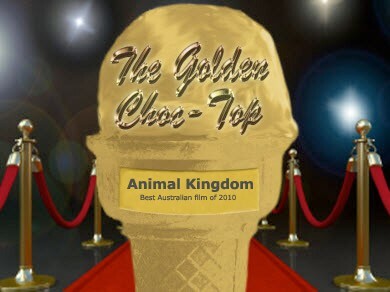 Writer/director David Michod’s Melbourne-set crime drama Animal Kingdom ruled the roost last night at the 2010 Australian Film Institute Awards, winning 10 gongs from a record 18 nominations, reports Luke Buckmaster. The terrifically directed Melbourne-based crime drama Animal Kingdom would make an auspicious debut for any filmmaker, and, if David Michod never tops it, a pretty decent magnum opus too, writes Luke Buckmaster.